We made a delivery of a table top of Japanese horse chestnut slab and oak legs. 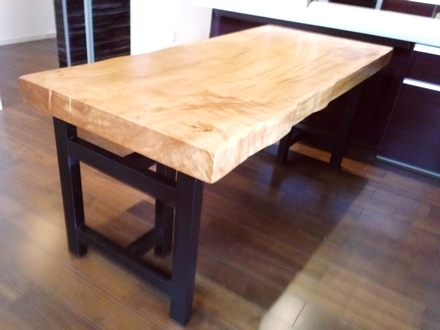 The table top size is 205cm long, 85-90cm wide, 9.5cm thick. This tree was from a wild forest; it was not planted by human beings. It is more than 300 years old. The table fits well into the monotone interior and walnut floor.